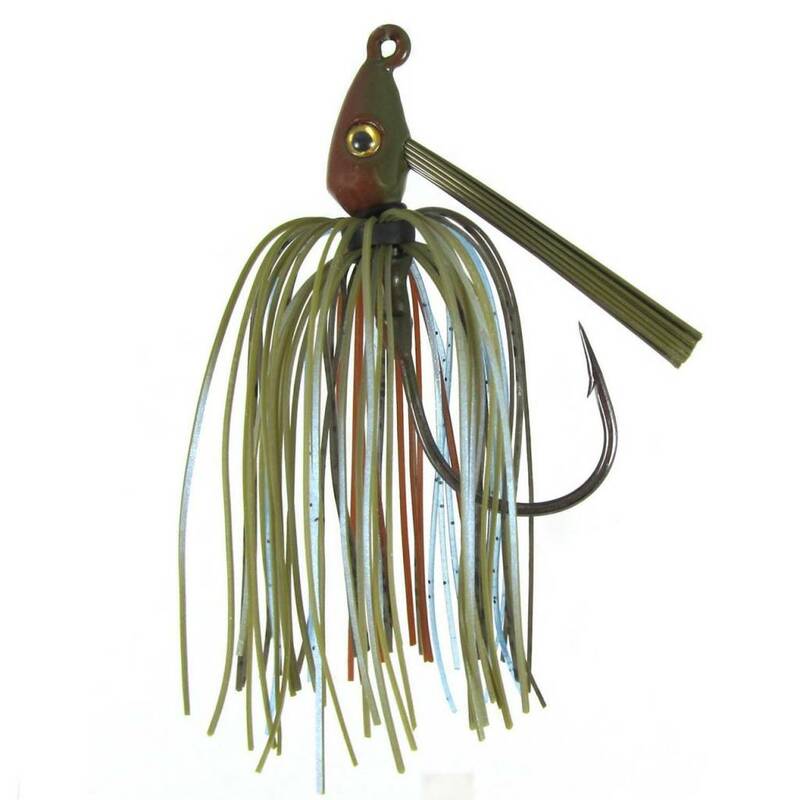 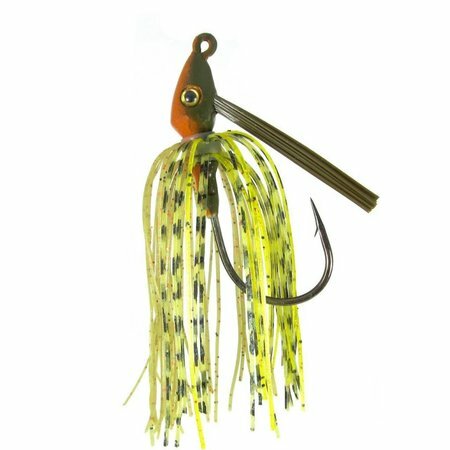 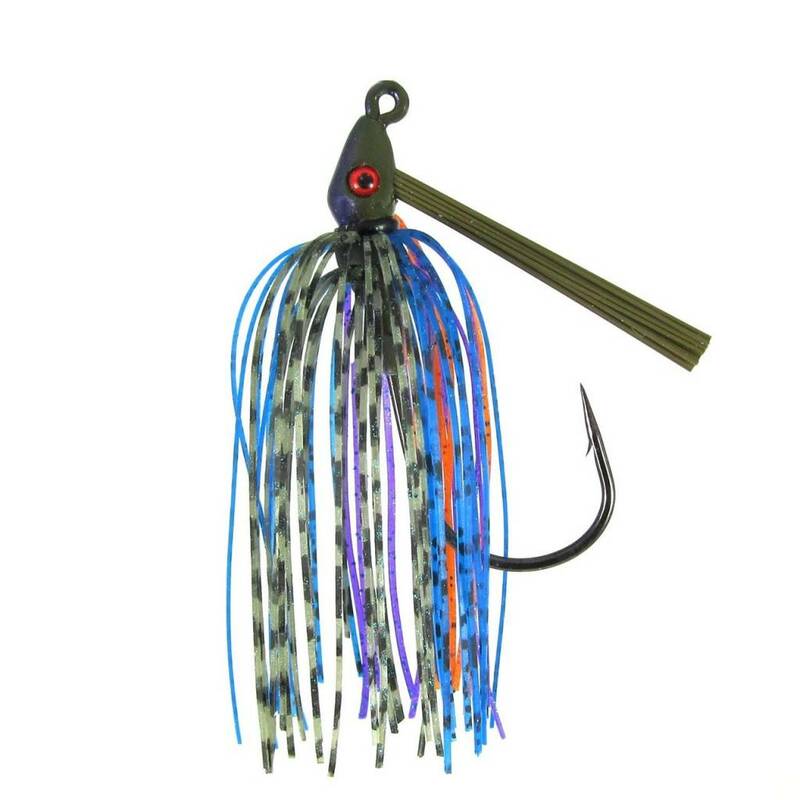 The pro swim jig that has been a staple for fisherman across the country is now ready to tackle the thick stuff. It will allow for a larger trailer while giving you the same true swimming action as the original. In adding the 5/0 Mustad heavy wire hook we have opened the door for more possibilities on where and how you can fish the swim jig. In addition, we have beefed up our double barb keeper to help grip larger plastic trailers and switched over to a glued silicone core skirt! 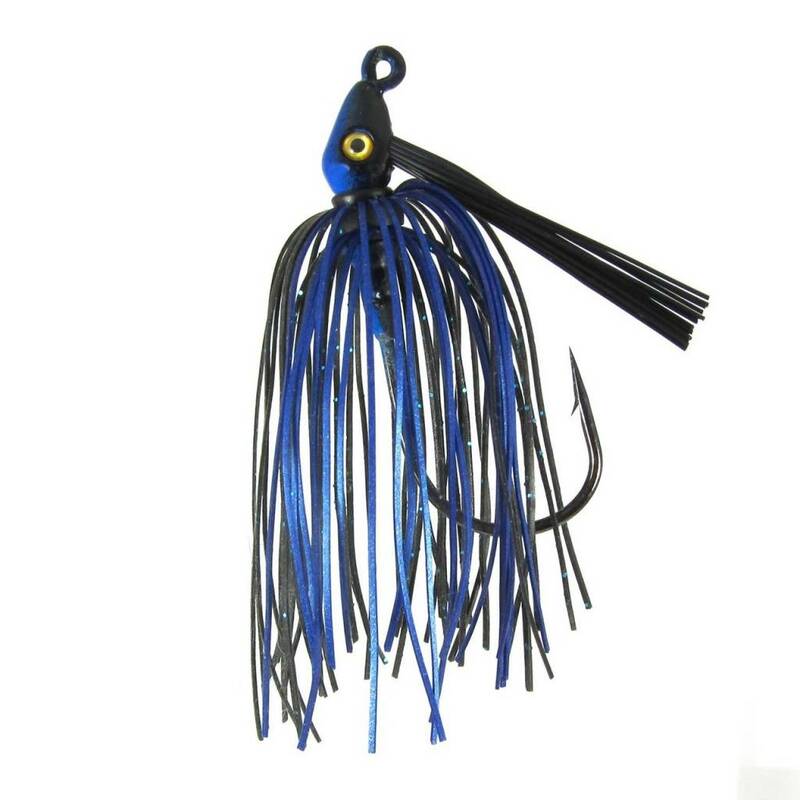 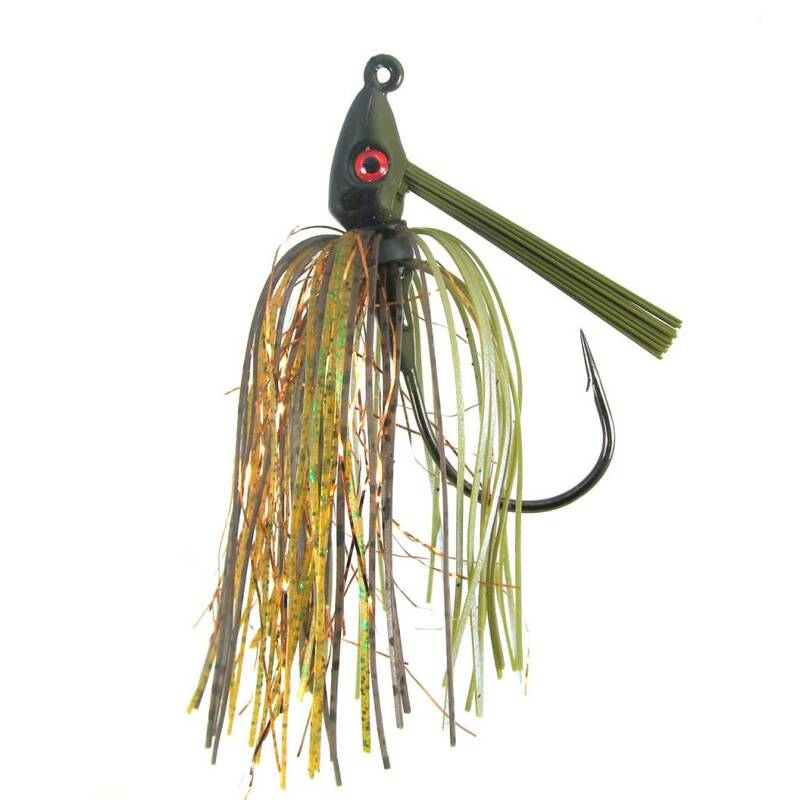 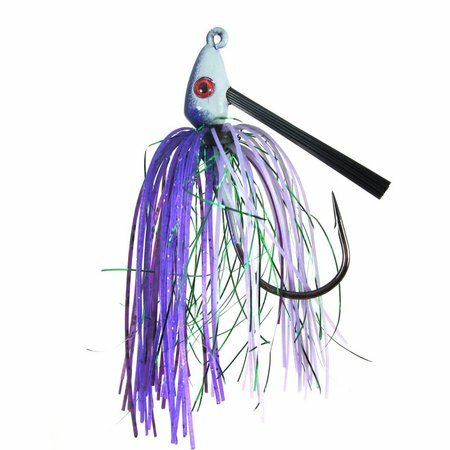 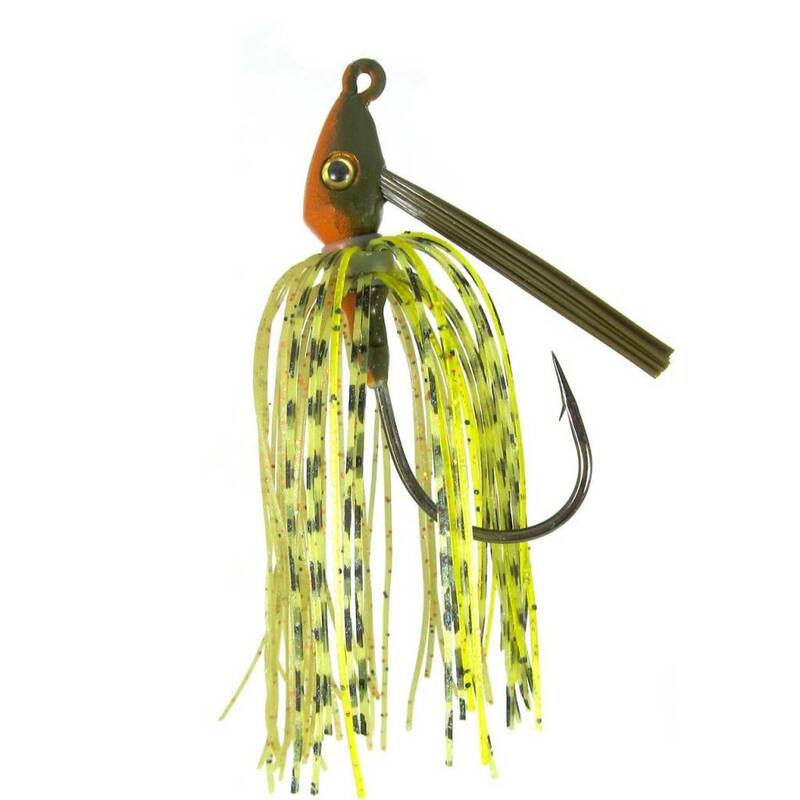 This new skirt features adds flare to the skirt as well as keeps the strands from twisting around and bulking up on one side or the other effecting the balance of the jig.